Many teams are afraid to discuss the source of success – performance. The dynamic is from superior to inferior, rather than partnership. One person pulls the rope in one direction – the other pulls in the opposite direction. Infrequency makes performance conversations feel unnatural. Past performance overshadows forward-facing aspiration. Follow-up and follow-through are nonexistent. Lack of behavioral examples that illustrate great or poor performance. Goals, when established, are beyond the control of individuals. Posturing blocks vulnerability and clarity. Responsibilities and accountability are fuzzy. Increase frequency – at least twice a month. Decrease formality. Touch base in the hall while walking to your next meeting. Shorten length. Several ten minute conversations are better than occasional ninety minute marathons. Ask more questions. Listen. Don’t fix. Build on strengths. 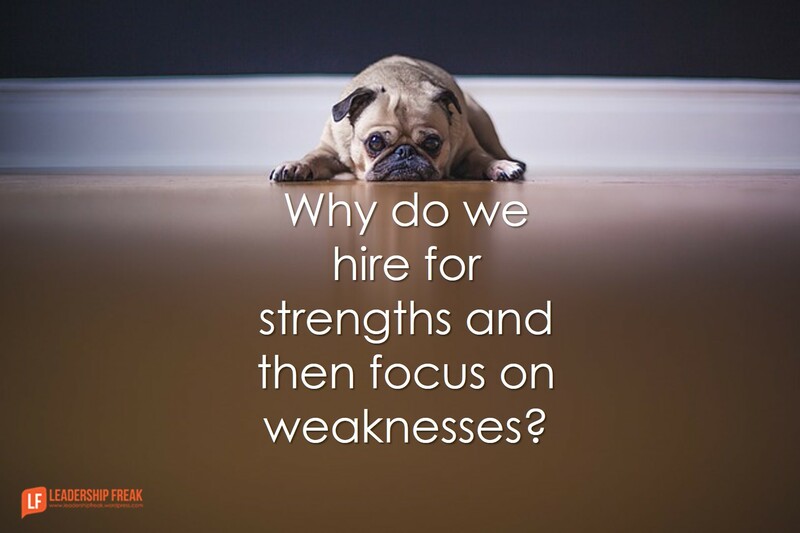 Why do we hire for strengths and then focus on weaknesses? Provide tools to guide the conversation. Performance always has positive or negative trajectory. Steady as she goes eventually turns downward. Complete the trajectory tool for your own performance over the past month. Send it to teammates. Include a brief explanation. Circle one negative and one positive arrow. Provide an example that illustrates the reason for the trajectory of your circled arrows. Describe one behavior for each circled arrow that you will employ in the pursuit of better. Invite suggested behaviors from teammates. Ask teammates to bring their own trajectory tool to your next performance conversation. How might leaders/managers improve performance conversations? How might you design and use your own trajectory tool? I really like the trajectory tool as a way to stimulate true discussion -a dialogue rather than a top-down monologue, with inevitable pushback- about performance issues. Also, your reference to involvement in goal-setting raises an important issue. I never understood how people could be expected to fully commit to goals they did not help develop. Talk about shooting high performance in the foot! Lead on, Dan! A small typo in this post caused me to really stop and think regarding what word you intended to use. It was the last word in this sentence, “The purpose of the trajectory tool is to ignite conversion.” And so I thought about, “What is the difference between ‘conversion’ and ‘conversation’?” Two letters make the different words and those are “at”. It has often seemed to me that conversion is truly directed AT people whereas conversation is an invitation to be WITH people in the moment. Conversion implies change and the Conversations on Trajectory are looking to take individuals and teams to a new place, all implying change and ‘conversion’. Thanks for the (I think!) unintended typo! It made me think about the whole topic in a new light. Thanks Frank. Love your reflection! I’m going to edit the post. But, still, thanks for your insights. Don’t edit the post – Frank’s thoughts and reflection are too good. And, maybe, ‘conversion’ is what you really meant to communicate. Thanks Dan. I have liked the TRajectory Tool. do you have a template you can share. I think it is something I could use with my team. This is really interesting but do you have more information on how to create and use the trajectory tool? Not certain that I am fully following.